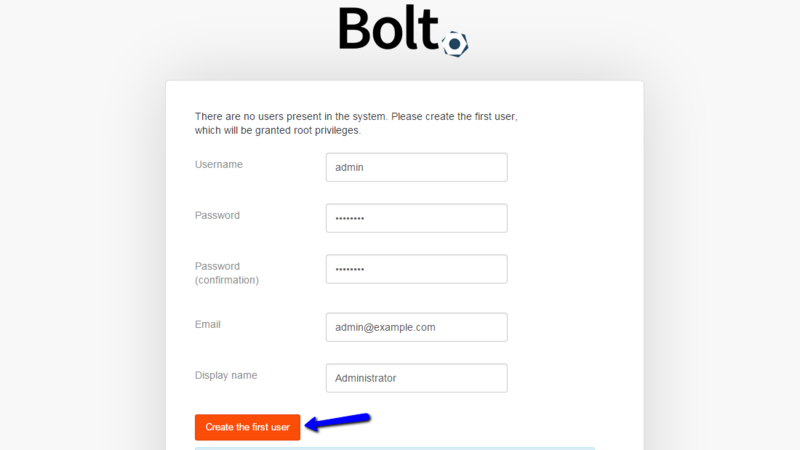 This tutorial will review the installation of Bolt on your hosting plan, using SSH connection to the server. If you are comfortable with the Linux terminal, the installation of Bolt will be relatively easy that way. The first thing you need to do is to access your account on the server through SSH. If you do not know how to access your account over SSH, you can review our tutorial that will describe the entire process. Once you access your account on the server via SSH, you need to access the public_html/ directory. It is the directory, accessible directly via the primary domain on your account. For that purpose, you need to execute the following command. If you wish to install Bolt directly on the primary domain, this is the directory, where you need to perform the installation steps. Otherwise, if you are installing it for an addon domain or a subdomain, you would have to go to it first. If you do not know the directory, you can see it through your cPanel -> Domains tab -> Subdomains/Addon Domains. You will notice a Document Root column, which will show you the path to it, with regards to the home directory of your account. Then simply copy the path and execute this command with the path as its argument. Now that you are located in the directory that you want to install Bolt, you will have to execute three commands, one after the other. Password - Enter a password for the new user. Password (confirmation) - Enter the password twice for verification. Email - Enter the email address of the new user. Display Name - Enter a display name for the user. When you are ready, click on the Create the first user button. The system will complete the rest for you. 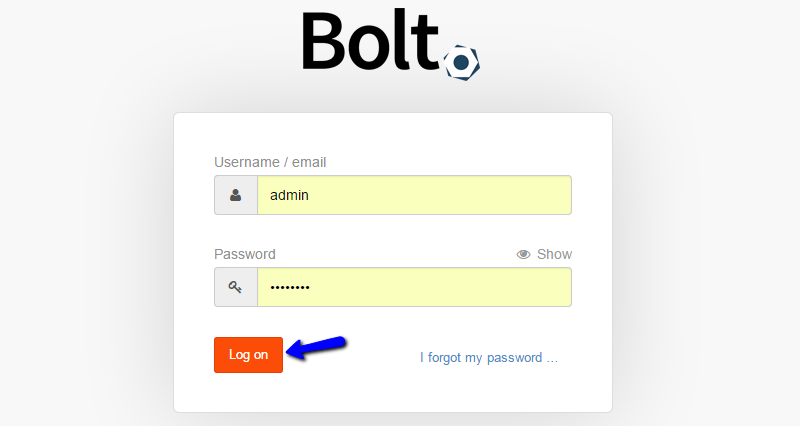 The system will create the user and then automatically redirect you to the Bolt login form. From there, you will be able to access your new account. The installation of Bolt is now successfully completed. You can access the administrative area of your Bolt website and start adding content. If your project is going to be vast in size, we strongly recommend that you set up your website with a MySQL database. It is much more reliable and you can review our tutorial on how to configure Bolt with MySQL database.